I’ve said it before, but I am not a fan of crêpes. The fillings appeal to me more than the doughy shell itself. I wanted something a little different for dessert, not the typical funnel cake or ice cream cone, and this was the only place on the boardwalk that could satisfy my craving. Harry’s Corner takes up a decent chunk of the boardwalk block. The store is a few different shops strung together, each with their own menu. There is one shop that focuses on savory foods like pizza, fried chicken, and spaghetti, while another has fresh bakes crêpes, ice cream and cotton candy. There were several crêpes to choose from, but I eventually picked this one which had strawberries, banana, and Nutella. 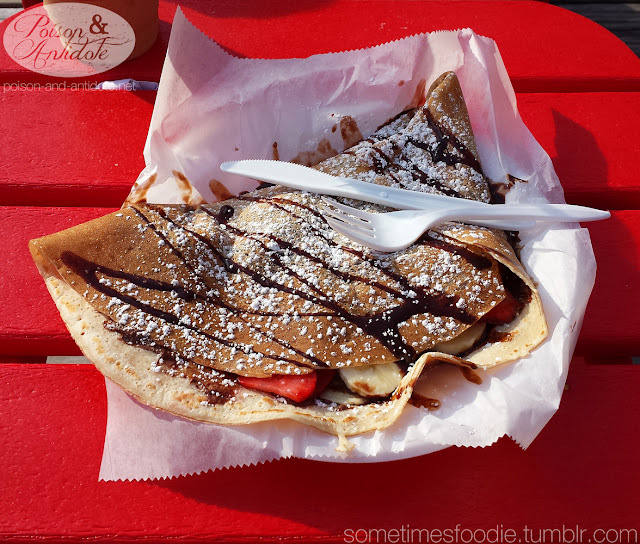 The crêpe itself was a little rubbery, and I had trouble with it sticking to the wax paper on the foam plate, but the fillings were delicious. 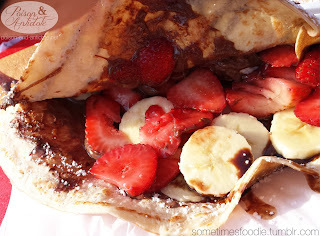 All of the fruit was sweet and ripe and the Nutella melted to perfection. The whole thing was topped with powdered sugar and chocolate syrup, the typical toppings for almost all the desserts served on the boardwalk. The sugar was visually a nice touch, but the syrup kind of cheapened the flavors of the crêpe. If they had drizzled Nutella instead it would have tasted a bit more sophisticated and put together. 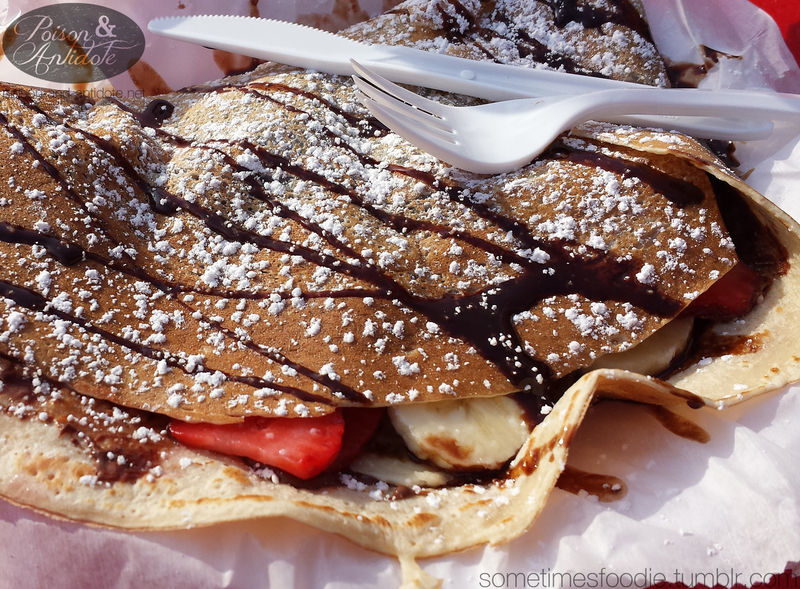 Boardwalk food is pretty pricey, and this crêpe was no exception, but I did get a lot for my money. A whole banana and about half a cup of strawberries were inside, so I did get a decent amount of fruit. All in all this might be one of the healthier, but still delicious, dessert options on the boardwalk.